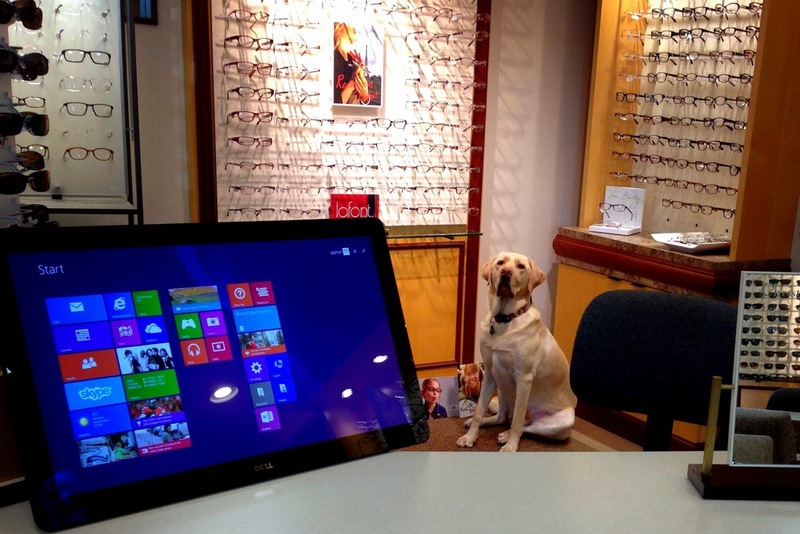 I wanted to take a minute and summarize all of the new, exciting things that we are up to at Carillon Vision Care. Dr. Agrest was awarded the “50 Year Illinois Optometric Association Membership Award” this past weekend at our state convention and gave a great speech to over 300 of our fellow optometrists. Our newest full-time employee, Vanessa, is a welcome addition to our optical staff. Vanessa possesses more than 10 years of experience as a licensed Optician, and she has a talented eye for finding our patients the perfect frames. The increase in staff has also allowed us to expand the optical’s hours; our opticians are now available during extended full business hours Monday through Saturday. We are also pleased to welcome Dr. Vince Brandys, a well-respected, licensed Optometrist that has joined our practice on a part-time basis. Dr Brandys is available to see patients on Fridays and/or Saturdays. His professional biography was featured in last month’s blog entry. Our optical now boasts a 27-inch, touch-panel computer screen, which has already been a big hit with patients! The screen allows our opticians the ability to display various color and size options for prospective eyewear, which we may not have in house at the time. It also gives patients with a new eyeglass prescription the opportunity to “test out” their computer vision while wearing their new specs. The optical is now lit with 100% LED light bulbs, which closely resembles the aesthetic of natural sunlight (and is earth-friendly too!). 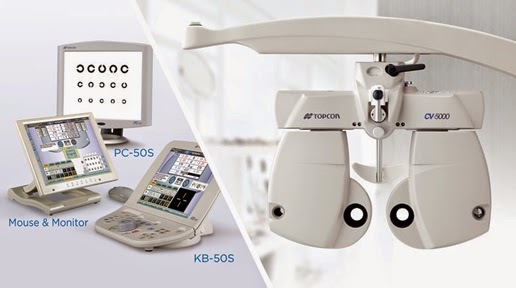 Last but not least, we have ordered the new Topcon CV-5000s Automated Phoropter (you know, the instrument where the doctor asks, “What’s better: 1 or 2?”). The Automated Phoropter is a 100% computer-controlled device that is driven by the doctor and enables faster and more accurate glasses prescriptions. It also allows the doctor to demonstrate the difference between new and old glasses prescriptions at the touch of a button! This instrument will be installed in early October. Be sure to watch for next month’s blog where we will share Dr. Brandys’ letter to our patients. It will also be featured in our upcoming Fall newsletter. Check out all of our full newsletters found in the links on the right side of this page.